The PlayStation Classic is already heading for unobtainable status, just days after being announced, and months before launch. Because of course it is. Half of the pre-orders are from people who actually want one, half are from people who wrongly think they want one just because it’s popular, and half are from people who want to sell one assuming there are shortages at launch. Yes, three halves – it’s that popular. So already a PlayStation 2 Classic seems a distinct possibility. But if – when? 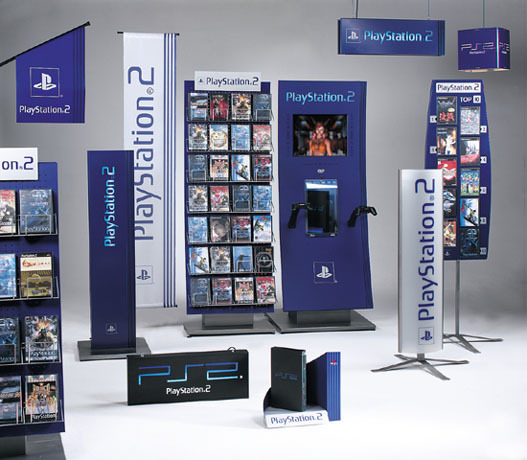 – Sony go there, I hope they revisit the PlayStation 2 pre-order system to deliver a fully authentic retro experience. Back then I worked part time in a now-defunct electrical retailer, and was impressed by how very austere the pre-order system was. Sony supplied a book of pre-order forms – complete with carbon copies – which we kept in the safe. Only the manager could get at it. Once all the forms were filled in, that was it. Now I can’t remember how many carbon copies were produced, because it was 18 years ago and a lot of adult business has pushed that sort of crucial knowledge out of my brain. But I’d like to think that one was sent to Sony to go into a huge master pre-order binder, which they used for some high-end admin. That system strikes me as ideal for their next retro mini console launch. Everyone has to physically turn up at an Amazon warehouse, where the manager will get a huge pre-order book out of their safe, fill it in in black block capitals, in triplicate, give you a copy, keep one, and send one to Sony. In Japan. There, they’ll have the biggest binder you’ve ever seen. If anything hasn’t been filled in correctly – or, heaven forfend, in blue ink – then the form will be returned to the warehouse, to which you must return to try again – and bloody well try harder. If the form passes muster, then your pre-order will be accepted, and on the launch day you may return to the same Amazon warehouse to collect your console. And pay by cheque only, which will have to be authorised over the phone while you wait. That’s properly retro, and that’s what people deserve.